This week we have a gorgeous colour combo courtesy of Nikki and I cant wait for all of you to check out what the rest of the Design Team have done..truly gorgeous! Here is my take on the colour combo ..Ive used up some scraps here and used my one inch circle punch to create the background..reminds me of fish scales but didnt have a fishy sentiment to go on this so just stamped it with ‘Thank you’ as we often get given fresh fish so I can whip out this card in response lol! Here is the inside. Ive used a cut off piece as an accent down the bottom. So hope you play along with us this week at Just Add Ink and as i said ..cant wait to see what you all do with this colour combo! As for me Im off on road trip to The Creative Inkers Stamp Camp. 50 new and old friends, classes, presentations, games and lots of yummy food..cant wait! Come back on Monday to see some of the things Ive been working on to show (present) at camp. Great way to use up some scraps Delys, looks very interesting will have to give something like this a go. Have a great weekend. What a great way of using up scraps of cardstock. Have fun at stamp camp Delys. Delys what a great idea! 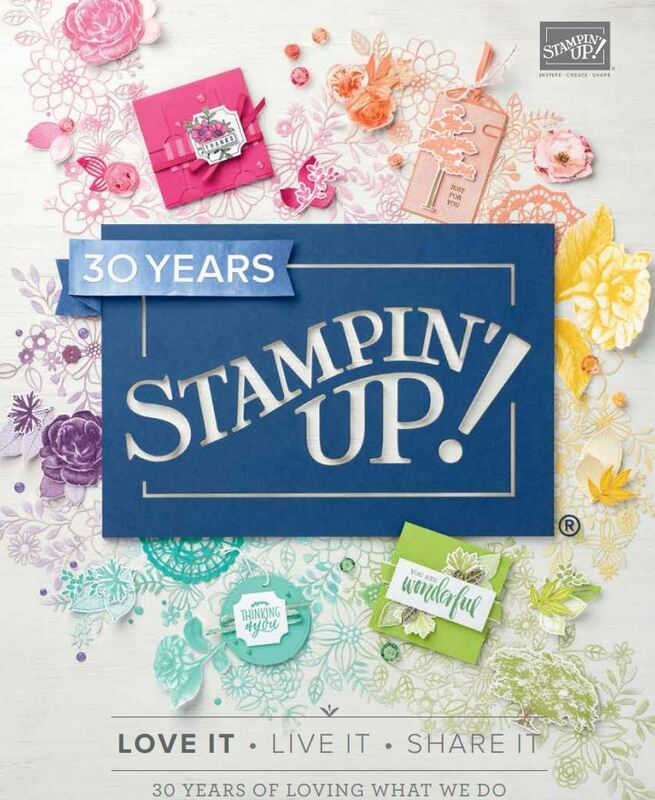 I hope you have a good time stamping up a storm! This is a terrific use of little bits and pieces, very clever Delys. Enjoy stinky Rotorua this weekend – I hope you relax and enjoy yourself. LOVE this idea – so much texture, and colour, and yet a simple concept. Thanks for sharing; can’t wait to give it a go with some scraps (I’ll just add that to the million-and-one other things I want to try!). Have a great weekend, Delys; can’t wait to see your projects. 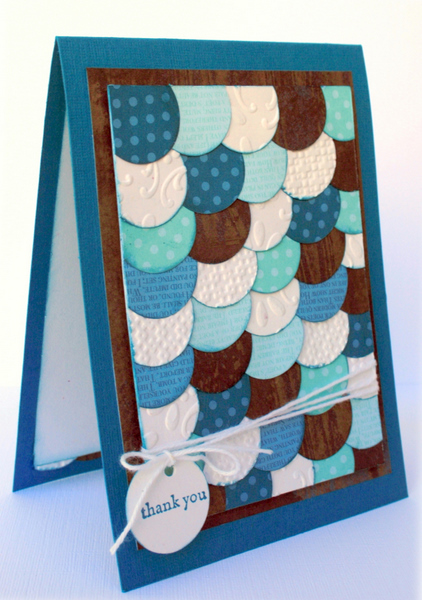 a) love the idea of using up scraps and b) glad I’m not the only one to think fish scales – lol! Love your idea of giving it as a thank you card for receiving fish 🙂 very appropriate! Love all the texture you added. Enjoy your crafty weekend!! love that card and all your wonderful projects!! I am having a ball being with SU again!! thanks for all you encouragement at SC! 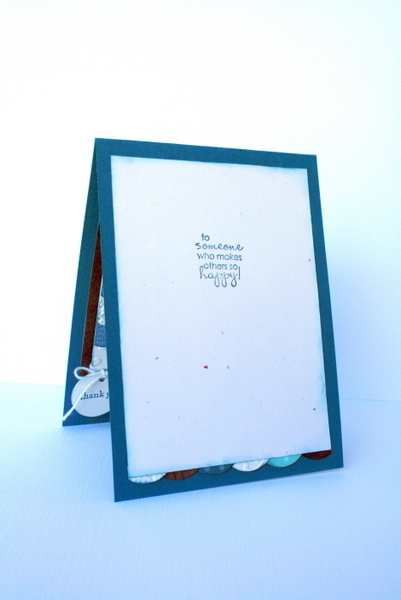 Great way to use punches and scraps Delys, very cool effect!